Did you know that Buckinghamshire is blessed with more National Trust properties than any other county in England? From impressive stately homes and gardens to more modest natural woods, Buckinghamshire is the perfect backdrop for long walks and tours. So why not spend some time exploring one – or two - or all of them! Well worth a visit is Cliveden in Taplow which overlooks the Thames and has far reaching views of beautiful formal grounds. 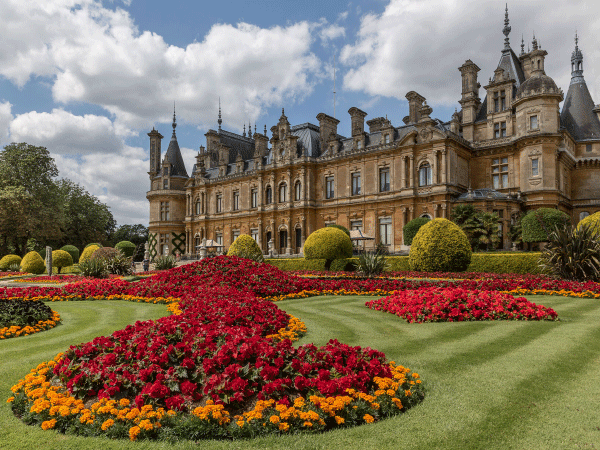 Another must-see is the magnificent Waddesdon Manor, a French Renaissance chateau which was originally built to display Ferdinand de Rothschild’s outstanding collection of treasures. Defined as the finest outdoor work of art in Europe. Discover another timeless landscape and enjoy the lakeside and gardens at Stowe, which has attracted visitors for over 300 years. Hughenden offers a vivid insight into the charismatic personality and colourful private life of the most unlikely Victorian Prime Minister, Benjamin Disraeli, who lived here from 1848 to 1881. Hartwell House, another National Trust property, is one of Buckinghamshire’s most celebrated country house hotels and includes a two AA rosette award-winning restaurant. 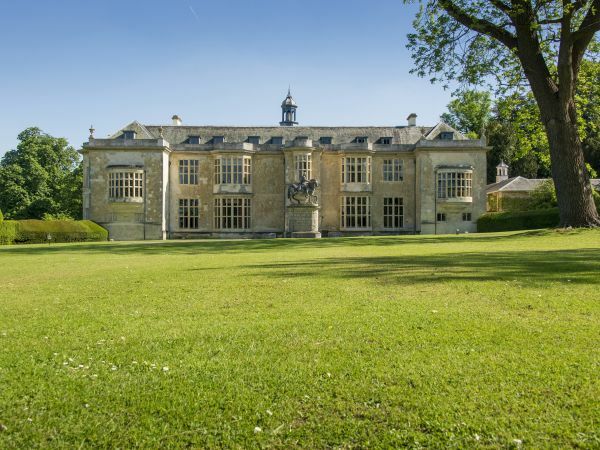 Set in 45 acres of landscaped park, this English Country House, which has been home to the Dashwood’s for 300 years, is the most theatrical and Italianate in the UK. Discover the remarkable Claydon House, created by Sir Ralph Verney in the 1750’s. Boasting some of the most ambitious and lavish interiors created in the eighteenth century, this fascinating property has dazzled for more than 250 years. Spend the day at the magnificent Renaissance-style chateau Waddesdon Manor, home of the Rothschild family. 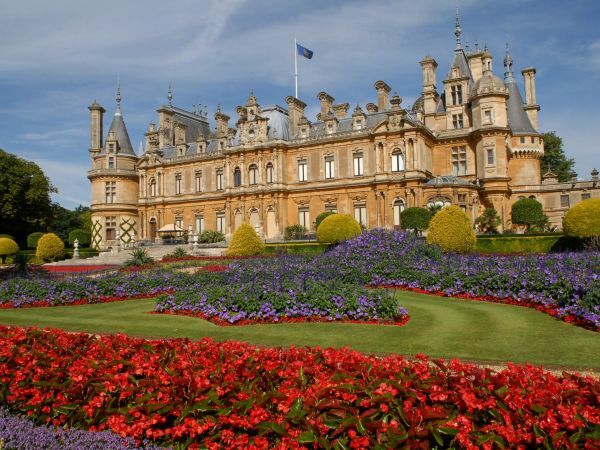 Allow 1 day to see the whole of Waddesdon, including lunch at one of its restaurants. Allow 1.5 hours to view inside the House. Enjoy an exquisite meal at the two AA rosette award-winning restaurant at Hartwell House, and stay overnight at the historic Hartwell House Hotel near Aylesbury. Set high above the Thames and with far reaching views, Cliveden’s impressive gardens and majestic woodlands capture the grandeur of a bygone age. Follow in the footsteps of Dukes, Earls and Royalty as you explore a series of gardens, each with their own special charm. From the formality of the Parterre with its vibrant floral displays, to the quirky statuary and topiary in the Long Garden, Cliveden’s gardens will delight you in every season, while the famous maze will challenge all age groups. The formal gardens give way to secluded glades, tree-lined avenues, and a picturesque riverside with miles of woodland walks to discover. Guided tours of the house are also available. Allow 4 hours for your visit. 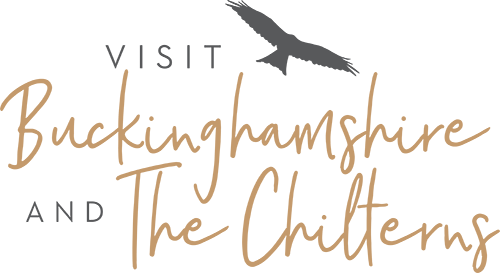 Don't forget to check out our ‘What’s on pages’ to see the array of events taking place across these fabulous properties. A Country House hotel, restaurant and spa set in over 90 acres of parkland.